How does a mom not take it personally, when her teenage daughter listens to her dad, but argues, fights and calls her names? Neil, I know I’m not supposed to take things personally. But after a while, how else can you feel about it? My 14-year-old daughter is pretty clear that she doesn’t like any of the things I say or the way I say them. She accepts what her father says pretty much, but if I ask anything of her or say no to any request, she goes off on me like I’m this horrible person. Obviously, it is personal or she would be treating her father and other people like this. How do I not take this personally? I love your question Diana because it’s a situation I see commonly. In this podcast, I usually speak to the larger principle and then apply it to the questioner’s situation, but today let’s start with your situation Diana exactly where you are. Right now, everything is personal. Your daughter’s behavior is personal to you. It hurts, it stings, and it is so unfair given all that you’ve invested and given her. How could she be so ungrateful? How could she be so self-centered and mean, to you of all people? Same goes for your daughter. How could mom be so against me? How come mom gets so upset just because I want her to drive across town in the middle of rush hour to take me to my friend’s and then pick me up an hour and a half later while cooking dinner for the family and taking care of my younger brother and sister? What’s the big deal? Doesn’t she care if I have friends? 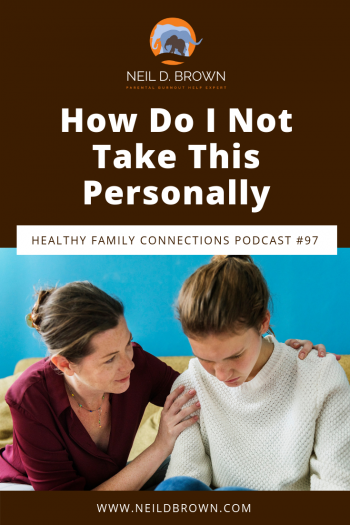 Things are very personal between you and your daughter and if it isn’t going to continue down that path, it’s because you are going to make your daughter’s behavior; and her feelings, about her and not about you. Right now it feels very much like her feelings are about you, and in a sense they are. They’re reaching you in a very personal place from your childhood; a place where you could never do enough to make your parent or parents happy. You trying to make others happy became your life’s mantra. It’s what I’ve referred to in earlier podcasts as your OS 1 or the operating system that got loaded on your metaphorical computer as a child. In other words, you got the idea about yourself that you can never get it right, that somehow, you aren’t good enough, but that if you keep trying to please others, you will at least get some validation and be loved in spite of your “unworthiness”. And here you are with your daughter trying to do everything you can for her, and she doesn’t recognize that and so it hurts you deeply. It’s like she’s revealing your falsely believed unworthiness to you and the world. Let’s move over to your 2.0 operating system. Diana, with this operating system, when your daughter gets upset and says you’re mean because she doesn’t get what she wants, it isn’t personal to you, only to her. You can acknowledge and empathize with her feelings of disappointment, offer encouragement, and set limits if she name-calls or uses abusive language. Why is it personal to her? Because she’s close to you, she hasn’t figured out that she is responsible for her own happiness and looks to you to make the world right for her. And it’s probably true that you’ve gone overboard doing that for her throughout her life. It may also be true that you’ve gotten upset with her for not being more appropriately accepting of your limits, and that has hurt her feelings and now she views you as someone whom she loves and needs; probably more than anyone else in the world, and yet you are always upset with her. So now what happened to you as a child or teenager, is happening to her. You may have never been disrespectful and your daughter is, but because of the lack of validation to your feelings and now hers, its very much the same. This is not at all hopeless Diana. As you communicate with your daughter from your 2.0 or your compassionate adult, she will learn that you love her, care about her feelings, respect and believe in who she is, and she will learn not to take your limits personally. Then when she doesn’t get what she wants, she can feel disappointed instead of hurt and angry. Let's take a look at what the dialogue would look like with an OS1 response, a taking-her personally response. 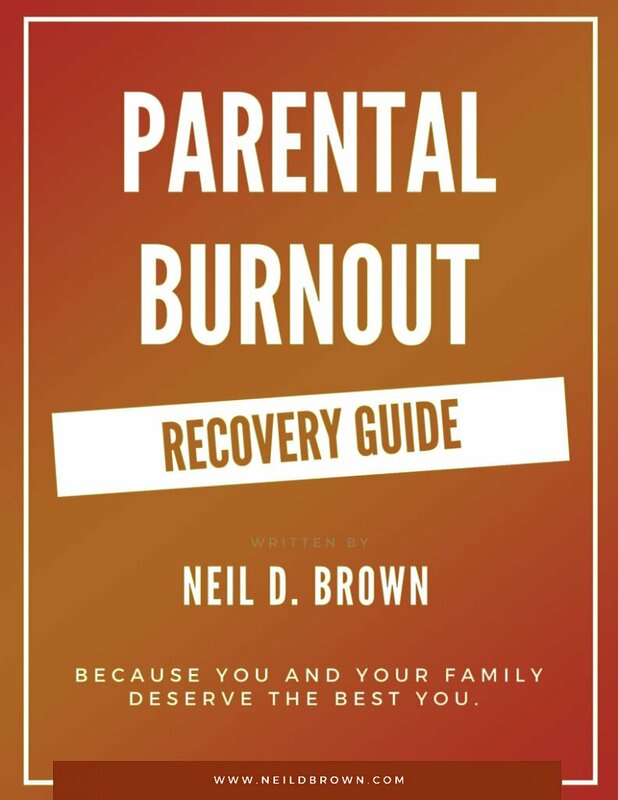 Here you feel her anger and hear her argument, but you don’t take it personally, you let the feelings and arguments belong to your daughter, and even though you can feel your own hurt and anger coming up, you focus on and acknowledge her feelings, and give a supportive response. And then be done. Since this has been going on for a while, there will be some momentum to the pattern of fighting and arguing, so you’ll need to simply stay supportive and very brief and move on. Diana has opened up an important conversation about taking things personally. When we take something personally, it always means that it’s hitting us in a vulnerable place, undoubtedly from our developmental years.Click To Tweet And if we are unaware of it, and act it out, we are living in our OS1 operating system. But if we know that, it opens up the possibility for us to become aware of that hurt (still feeling unworthy) part of us, and shift over to our 2.0, the part of us that knows we are worthy. With confidence, we see what the other person is doing and saying and we are able to respond with empathy and support. This is a lifetime of being conscious, aware, and growing. Isn’t that what it’s all about? And please remember to take care of yourselves. You Need It, You Deserve It, You’re Worth It.